The person who wrote this asked me to stay anonymous, but this story was too good to keep to myself. A few weeks ago, [we] opened a coworking space. …the story started three years ago with “me” talking to people in this community, taking people to lunch, hosting gathering of creatives at my house and finally “I” brought together 10 people willing to pay money every month to have a coworking space in this little town. I looked for spaces, “we” picked a spot. I signed the lease, “we” moved in. I built us desks to work on, “we” picked the arrangement of the office, I picked my desk last. “We” were happy with the arrangement of the office. That’s the truth of how this was formed or is forming. This is the story I tell myself & my close friends. The story I tell others contains no “I’s”, it’s only filled with “we”. This isn’t “my” space, it’s “our” space. It’s been a lesson in humility, an exercise of putting [myself] last, focusing on others. For me this doesn’t come naturally. We’ve been in this space for 30 days. “We” are happy, “I” am happy. For anyone else in the early stages of forming a coworking space, I hope this is inspiration enough for you to start with the people, and put them first in every decision you make. The payoff can show itself in as little as 30 days after opening – but I can assure you that it won’t stop paying off, even years later. One of the most common recurring questions that shows up in my inbox from prospective coworking space catalysts is rarely asked directly. When people write in, if they’re looking for something specific, they’re almost always looking for business models, plans, pro-formas, etc. When I dig a bit beyond their request, it turns out that what they’re really interested in is figuring out how, or who, to fund their new operation. We’re big proponents of bootstrapping at Indy Hall. Apart from industry cliches like, “It’s easier to spend somebody else’s money than it is to have to make your own”, there are very practical and pragmatic reasons for bootstrapping a coworking space. At the top of that list of reasons is – because you can. There are industries that exist where start-up costs are prohibitively high, and starting a new venture requires outside capital to get off the ground. But coworking isn’t one of those businesses. Rather than needing intensive financial capital to get started, you get to start by building social capital. 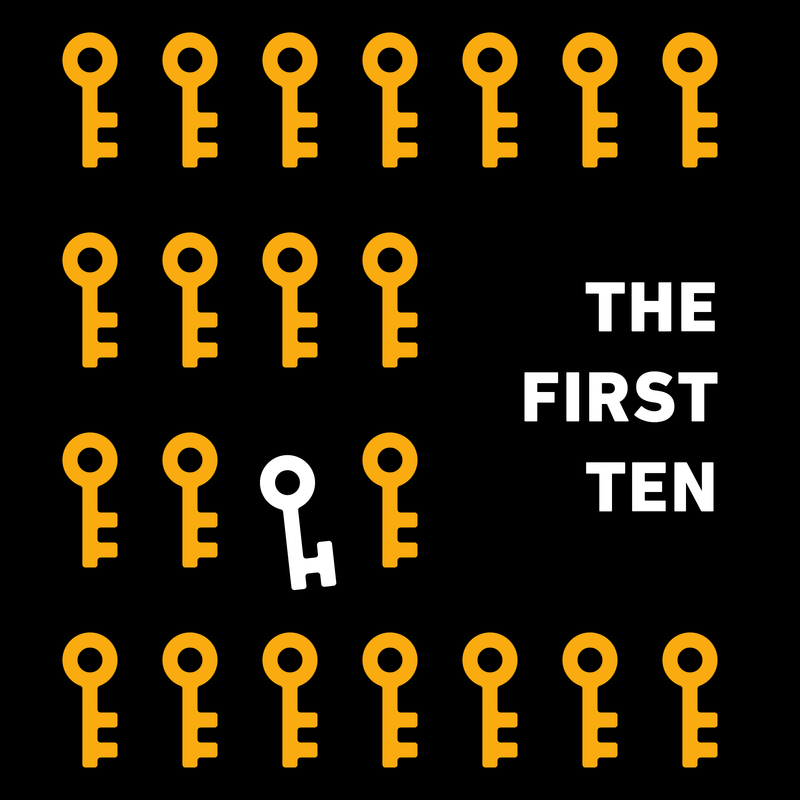 People jumping straight into coworking calculating square footage & sizing up furniture, or obsessing over branding and their website, are skipping over the important and crucial step to developing a healthy community: finding your first 10 coworkers. Everything else can come after that. Where you find them will vary. What they’ll look like will vary. But these first 10 people are the human seeds of your coworking space to be. They will be the #1 reason that other people want to come work with you at your coworking space. Rather than inventing pro-formas or making complex decisions about your new business, you can turn directly to your first 10 and work with them to make decisions, and calculate actual financial viability. your members are your funders. Where Might Your First 10 Come From? Our first Indpendents Hall member meetup in early 2007 was the first formal invitation for the people I’d been talking about coworking with to come together. We talked about coworking, but we didn’t exchange any money just yet (other than paying for our beers). There might’ve been 20 people at that first meetup, a number of whom I never saw again (or didn’t see until many months later). Not wanting to lose momentum, we continued those meetups at least once a month. They sometimes involved direct discussions about a coworking space, but more often than not they were just opportunities for us to get to know each other. The prospective members got to bond with me, but also got to bond with each other. We also made it a point to attend other peoples’ events together. It might just be 2-4 people at a time, but we were starting to hang out more often. We started our own “Jelly” casual coworking meetup every couple of weeks to work outside of the house together – sometimes from a cafe, sometimes a bar, sometimes just gathering in somebody else’s living room for the day. This was a crucial step past talking about the idea of coworking, and into the realm of introducing people to the act of coworking. These events grew from 6-8 people to 15-25 people over the course of a few months. It turns out that working with people who aren’t your coworkers (in a traditional arrangement, anyway) is habit forming. People began to ask to do these meetups more often. And they continued to invite their friends. It wasn’t until this point that we started thinking about money, business plans, membership models, square footage, desks, or any of the things that people tend to be overwhelmed and concerned about. We spent at least 6 months spending ZERO dollars. And we’d built up a core group of around 10 people who’d formed deep, strong relationships with each other – all in the context of a coworking space that didn’t even exist yet. And those people wanted nothing more than to have a place where they could get together as often as they wanted and invite more people over. The club was ready for a clubhouse. On a budget of $0, we’d formed the very first stages of our working community. With no office, no infrastructure, no business license, no bank account. Since we had this group of potential members who said they wanted coworking, we asked them to say it again – with their signature at the bottom of a check. We ended up signing up 2 full time members, 4 lite members, and a whopping 23 basic members because of the time we’d spent building a strong core of 10 people BEFORE we needed the money. We gave our “charter members” the opportunity to sign up for their preferred membership level for up to 6 months prepaid, with a bonus month of free membership for the prepaid memberships. We brought in another $4700, nearly 50% of my personal investment, before we’d even signed a lease. This was not only the funding needed to get the office opened – but it was the vote of confidence that I needed from the community to empty my personal savings into this venture. Without members, Indy Hall has no reason to exist. Our members get to vote – with their dollars and their participation – if and how we continue to exist. It’s up to us to listen and learn from what they tell us. Every minute you’re spending looking for funding is a minute you’re not looking for members. Ask anybody who runs a coworking space today – they don’t need investors to grow and be sustainable as much as they need members. Move in. Build furniture. Paint walls. Install network. Celebration over! You need to find members! Move in. Build Furniture. Paint Walls. Install Network. Together. Grand opening! Celebrate with your members! Going the route of option one is a great route – if you’re into delaying the inevitable. No matter what, you’ll need to do the hard work of finding your members. In this case, you’re waiting to do that and asking somebody else to fund your stalling. Option two, however, gets the hard part out of the way early and puts you in a remarkable position – most notably having member buy in – for your ongoing community development. When you open your space at the end of option one, you open with a shitload of hard work (much harder than assembling Ikea furniture) ahead of you and a debt to an investor. When you open at the end of option two, you open with revenue, momentum, and buy-in. Not to mention a lot of the hardest work behind you, complete ownership of your business, and the ability to answer to your community instead of an investor – because the community IS your investor. So start with your first 10. They’ll answer all of your hardest questions, including ones that are much harder than “How do I fund my coworking space”. Just 2 weeks ago, I was worried. I’d been hit with a landslide of outreach from struggling coworking spaces. I’d put so much time into helping people start and run coworking spaces in a healthy and sustainable way, what had I done wrong? Today, I’m much more hopeful. It turns out that not everybody learns really well by subscribing to my blog, following my tweets, or asking questions on the google group. There’s so much noise out there about coworking that it’s hard to find any signal about how coworking works when it works well, or how to even get to the point where coworking is happening at all. So I decided to launch a course. With less than 2 weeks notice, I offered a 3 hour workshop where I’d share details, concepts and experiences that have helped us grow Indy Hall into an extremely healthy community and business. Despite the short notice, the workshop sold out. I was floored. I got some help from my veteran workshop friends Amy and Thomas on the tech side of things, and we were off to the races. So yeah. That’s good news. I didn’t screw it up. The better news is that I got some great feedback about what was missing. So I’ve already put together another hour’s worth of content – cutting out some cruft and adding lots of new stuff. I also got tired of saying “Coworking Workshop” and thanks to a suggestion from Jonathan Julian of the Shortmail crew, I’ve renamed the course to “The Coworkshop”. Easier to say. Less wasted Twitter characters. On Sunday, October 23rd from 1-5pm EST. It’ll be the same general format, just with even more valuable information. A limited number of early bird tickets are on sale NOW for $250 through October 2nd, before the price goes up. So snap up a spot fast. Tickets are giftable, too, just drop me a line if you want to put somebody else in your place. The Future of Coworking? What about the present? Or the past? People are obsessed with “the future of coworking” but overwhelmingly aren’t taking the time to understand the present or the past. Want to know more about the past or the present? Sign up for my workshop this weekend. 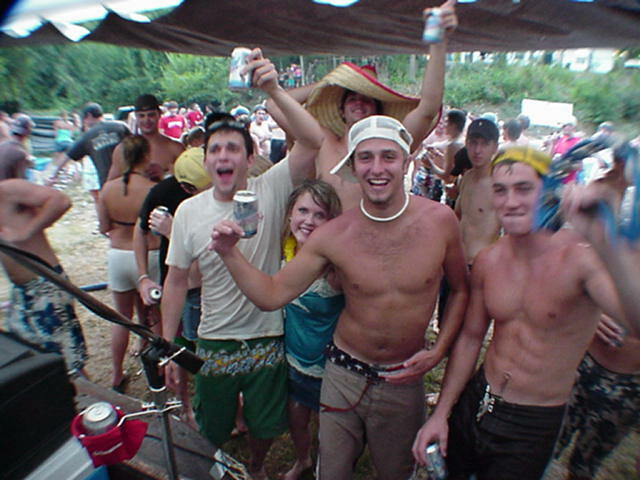 In the summer of 2007, Geoff and I sat down to figure out a membership model for Indy Hall. There wasn’t a lot of prior art in coworking: the couple of models we had to reference were focused heavily on full time desk users and “anchor tenants”. We’d been getting to know with our community, and we knew for certain that most of our community members did NOT need full time desks. In fact – we opened with only 2 full time members, and I was one of them. On the contrary, we had a lot of people who wanted to be a member of the Indy Hall clubhouse but rarely needed a desk to work at. They were more interested in making sure that we could keep hosting events, and be a gathering place for people they enjoyed spending time with personally and professionally. Rather than look at rental models, we looked at subscription models for membership. This is years before I was intimately familiar with the patterns and systems behind subscription business models, so I have a bit of retrospective analysis I can share here to help others come up with their own approaches. Geoff and I looked a couple of places for inspiration. We have different backgrounds – very different backgrounds – so we had some pretty unique tools at our disposal. Geoff brought his experience in arts collectives to the table. Many arts collectives had small fees for access to the gallery, supplemented by required volunteer time keeping the space open during openings, but this gave the artists access to the gallery for to show their work at least once in a period (quarterly, annually, depending on the size of the space and collective). They then had larger fees for studio space, if they offered studio space at all. They also had supporter memberships – low cost memberships for people who enjoyed attending openings but didn’t need art resources for themselves. I had a different story. 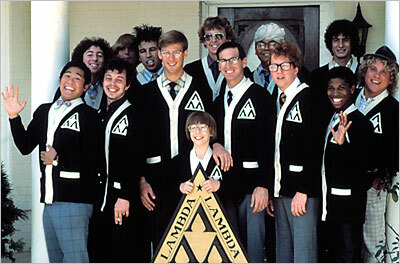 In college, I was a part of a fraternity. Less like this. More like this. Social skills aside, there were two levels of membership: in-house and out-of-house. In-house brothers paid a premium membership that included their bedroom. Out of house brothers had a lower per-term fee that helped keep in-house brothers’ rent down and pay for house maintenance. We all had access to the house, but were rarely ALL at the house at the same time. This meant that while our in-house brother count had a limit, our out-of-house brother count did not. The two things that these models have in common is that they create a solution for the limitation of square footage imposed by a fraternity house, an art gallery, and hey…a coworking space! So we ended up creating a full time membership for the 2 people who wanted full time desks. I was one of them, so I was an easy person to poll for how much I was willing to pay for a full time place to work. 4 years and a 3x larger space later, our full time membership is still $275. We also decided on a basic membership. It’d be $25/month and include a drop-in day. We decided that it’d be good to make drop-in days and the basic membership the same price to make an upgrade a no-brainer to somebody who planned to return. Our conversion rate from drop-ins to at least basic members is extremely high, nearly 2:1 on average. Once we decided that drop in days and basic memberships would both be $25, “additional” member days became a discounted version of that price point, $15/day, giving basic members flexibility. We had a few members that didn’t want a full time spot but planned to be in a few days a week. We decided together 3 would be the likely average, so a loose 12 days a month. We did some simple math: $25+ (12 x $15) = $205/month. We felt that this was a bit too close to full time membership, and by dropping it to $175 we had a nice price point with a good pricing incentive to upgrade to lite membership if you’re coming in a few days a week but aren’t ready to go full time. It’s also not TOO far away from the full time membership that an eventual upgrade there is going to be painful on the wallet. Our lite membership was born at $175/month. We ran exclusively on these numbers and these numbers alone for 3 years. Our book keeper noticed that we had a growing number of basic members coming in around a half-dozen times a month – 1-2 times a week. To reduce recordkeeping and the potential for invoices getting missed, we crafted a “six pack”. This was simply a basic membership with 6 drop in days included instead of 1. No discounts. Just straight arithmetic. $25 + (5 x $15). This model also filled in the pricing gap between $25/month and $175 a month quite nicely. We don’t list this membership on our website yet, it’s been a bit of an ongoing experiment but has been a fairly popular basic member upgrade. Geoff and I agree that the basic membership is the most important “innovation” we’ve brought to coworking, from the perspective of making coworking able to be a sustainable business while being community focused. The existence of a basic membership allows us to explain Indy Hall in a way that decouples membership from desk usage. Yes, you can use desks at Indy Hall and that’s a huge value. But it’s not the only value. Over 60% of our total membership are basic members (or 6 packs, which we consider a basic member derivative). 50% of those basic members never – and I mean NEVER – use desks. But basic membership is also our fastest growing membership level. Basic membership lets us decouple our revenue from square footage. Some people pay the $25/month as an “association fee” to be a part of the club and have a channel to get to know the smartest, most interesting, creative people in Philadelphia. Others enjoy our chat room or our private forum. Others just like knowing what’s going on. Others only attend events. Others only organize events. We’re also able to stay strong to our principals without having painful barriers. Our conference rooms are in demand. Sorry, they’re for members only. Want to sign up? You might find other things you’ll enjoy about Indy Hall. It starts at only $25/month. Want to attend Night Owls, our pilot program of evening working sessions? All it takes is a basic membership! This event is growing very fast as a hybrid productivity/social gathering, and every Wednesday being included in our basic membership has created a growth spurt large enough that we’re still deciding how to manage. From a business perspective, this means that close to 40% of our revenue is generated by 60% of our members. Why is this important? It’s a core value. So its a part of our model. Many coworking models depend on an anchor tenant or tenants to survive. These larger rentals subsidize things for the community. The issue is that every time one of these anchors leaves (which happens, which is okay), the coworking space scrambles to replace them. This is a distraction from the community. Instead, our model puts our foundation – 40% of our revenue, enough to cover our rent expense – on a distributed platform of basic members. Not only does this foundation have less risk than one or two anchor tenants, but it’s also the part of the membership model with the most growth opportunity. We’re never trying to figure out “how to fit more full time desks because we need them in order to pay the bills!”, which is a common solution I see implemented with little success. Current membership counts (as of 2011). You do the math. In the last year, we’ve fluxed between 30 and 35 full time members depending on the season. Update: in 2015, these ratios are remarkably similar…there’s just more of us! We’ve kept our membership simple – this removes confusion about which membership might be for you. We also made them relative to desired participation. Of course, we’re also providing month-to-month agreements and you can upgrade or downgrade with 30 days notice. “Flexible” memberships are only half of the equation. The memberships need to make sense for the members and the business. If they only make sense for members, the business will die. If they only make sense for the business, the members won’t be able to maintain their memberships.